A large sign said "No Trespassing" where these two tracks led, so I was left to photograph this dirt road from next to the sign. I respect folk's property and will not intrude on their land, but I do enjoy the Texas Wildflowers from a public vantage point. A large sign said "No Trespassing" where these two tracks led, so I was left to photograph this dirt road from next to the sign. 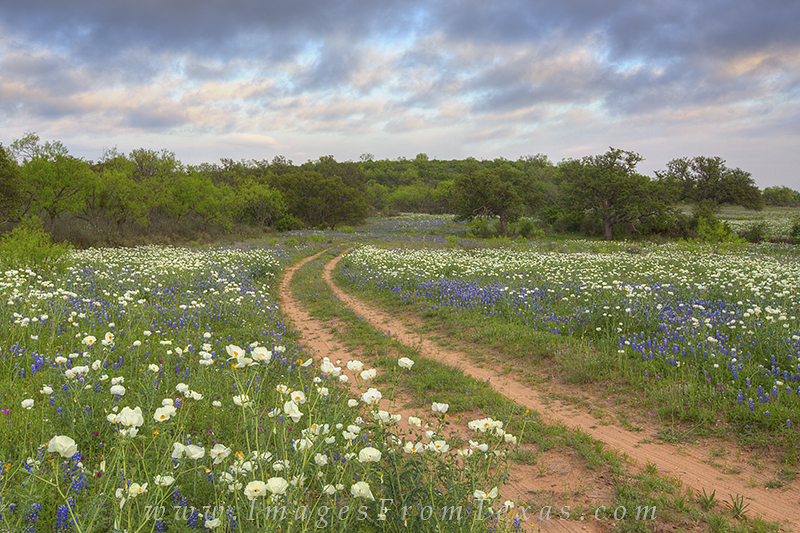 I respect folk's property and will not intrude on their land, but I do enjoy the Texas Wildflowers from a public vantage point. Photo © copyright by Rob Greebon.